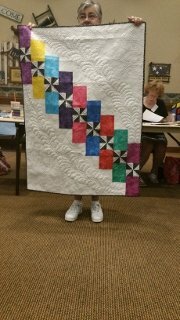 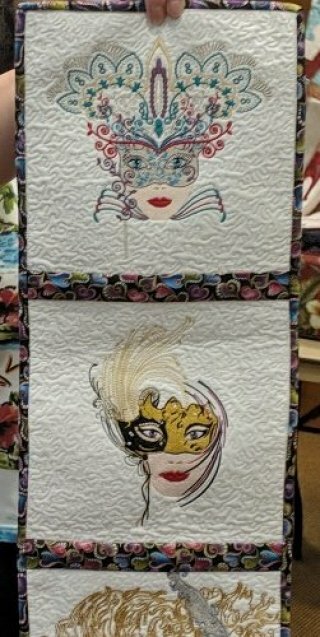 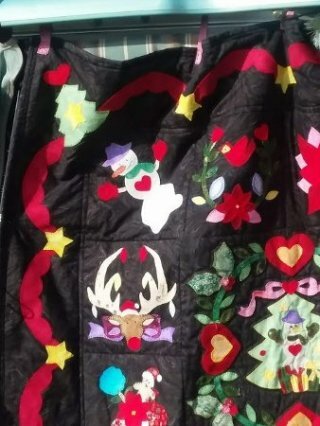 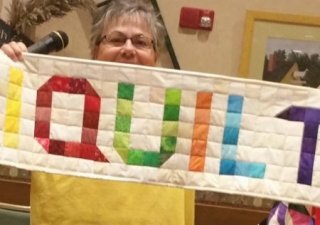 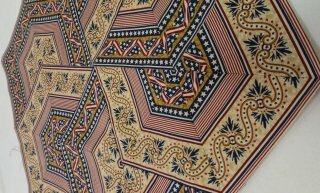 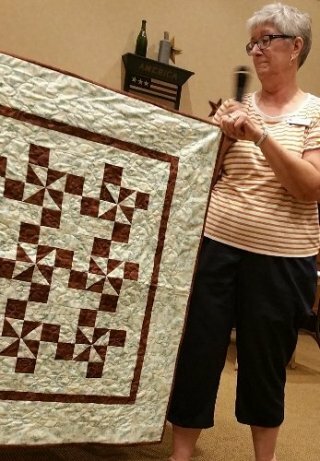 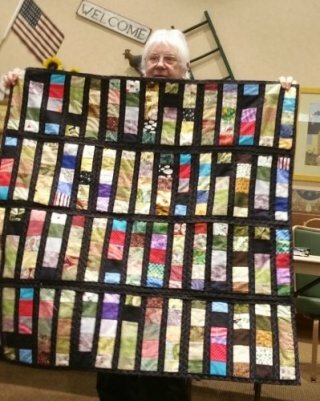 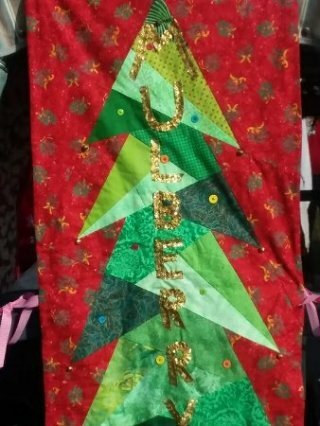 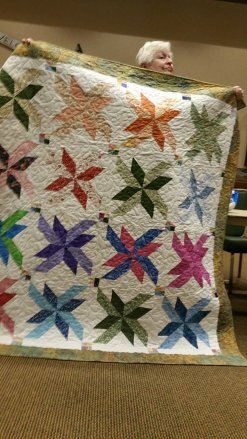 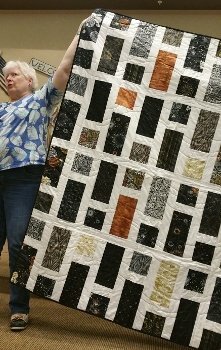 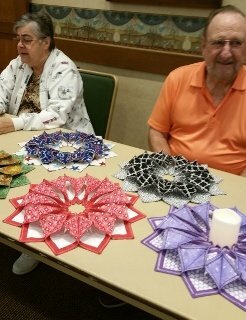 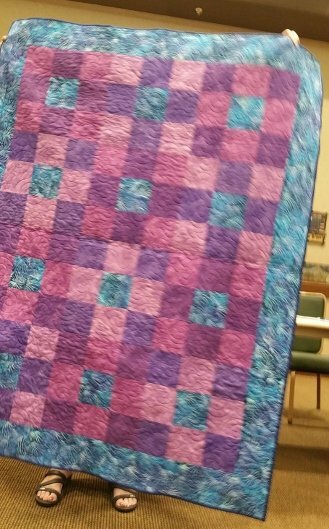 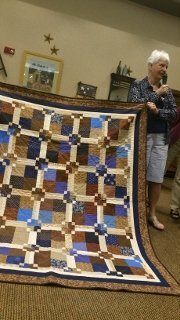 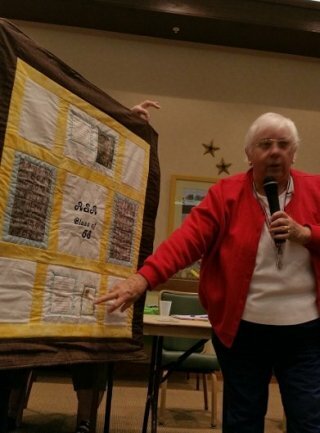 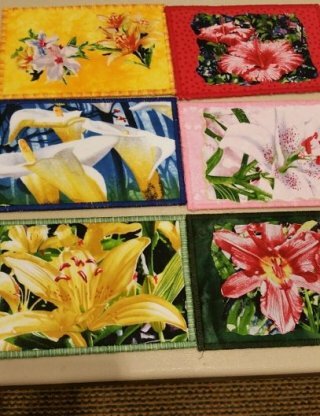 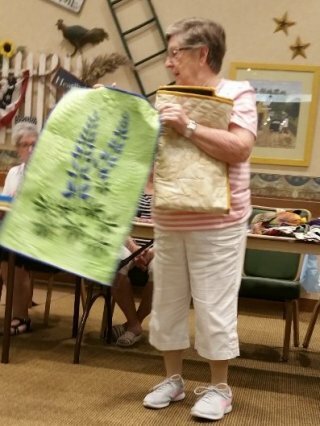 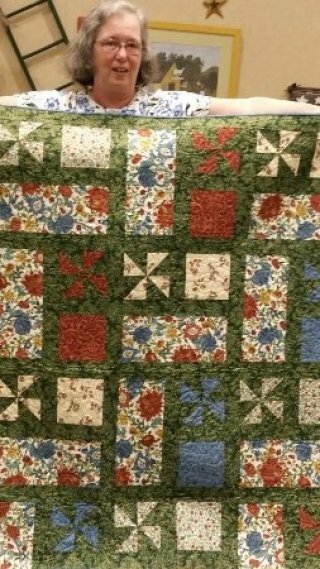 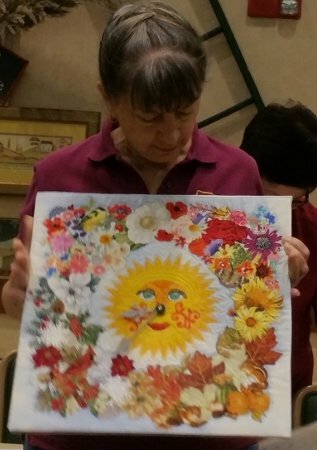 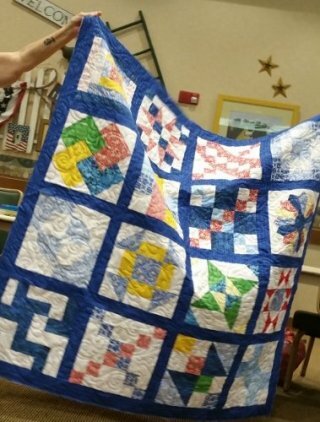 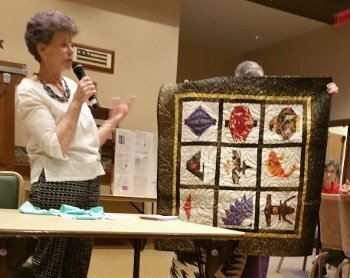 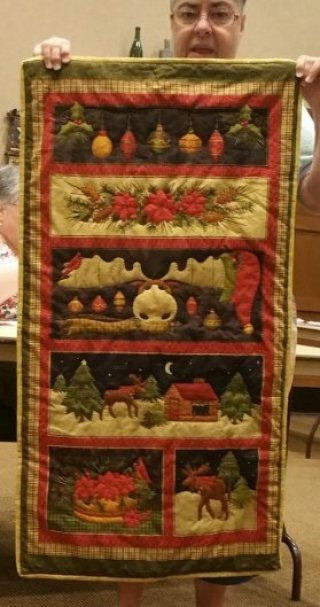 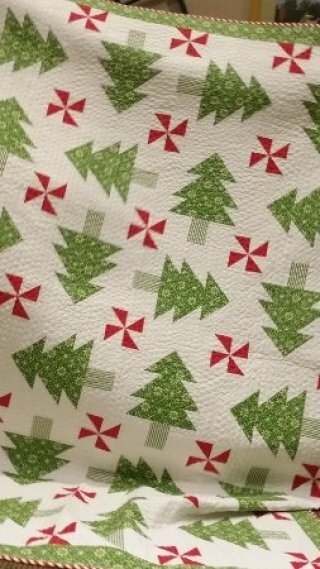 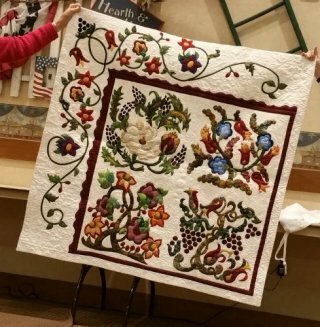 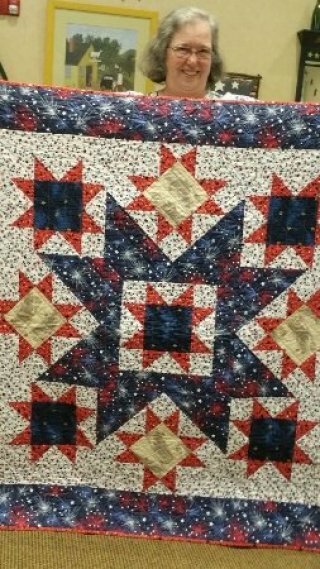 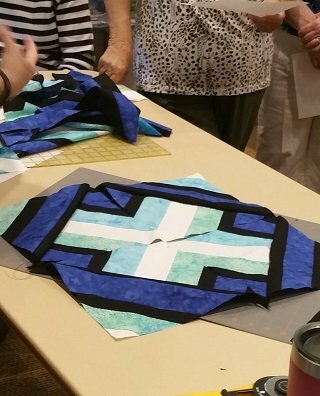 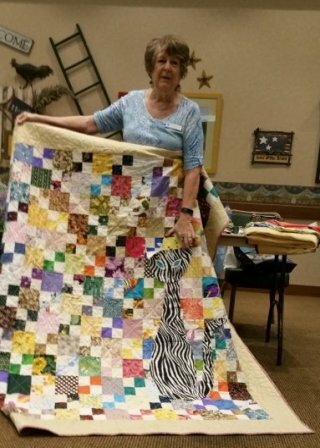 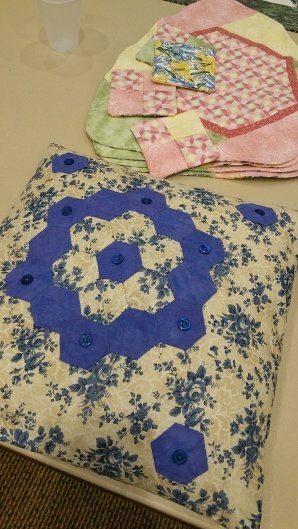 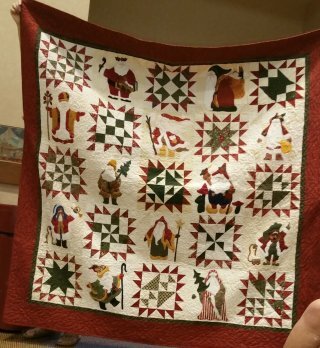 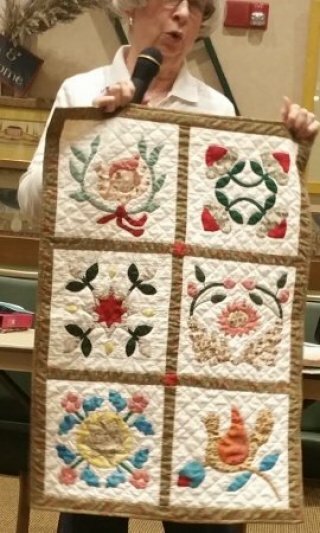 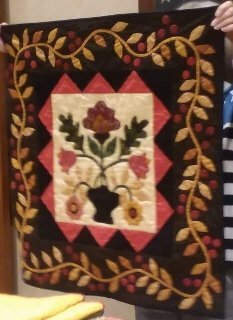 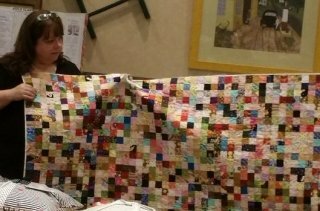 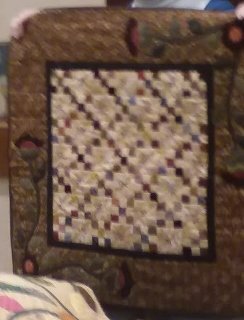 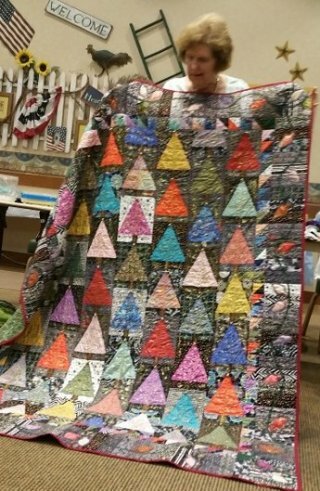 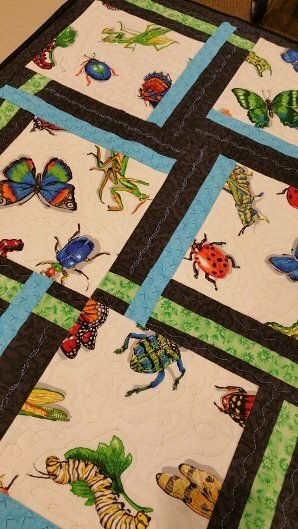 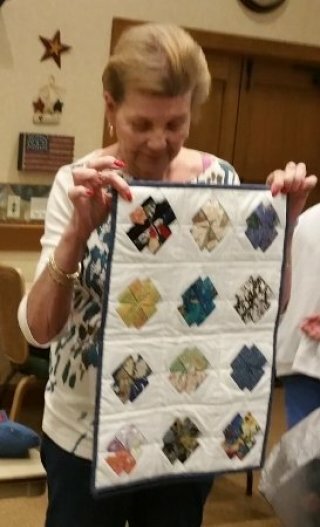 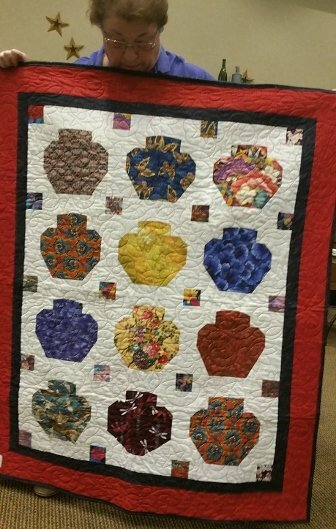 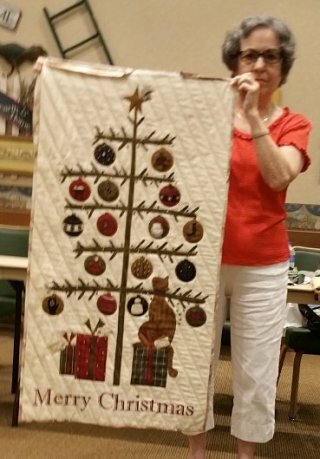 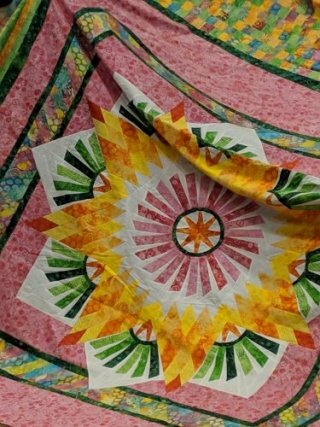 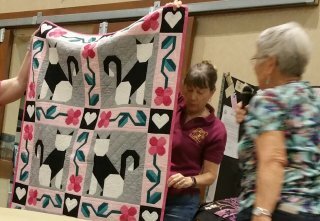 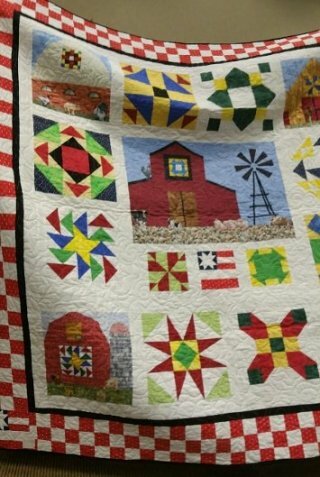 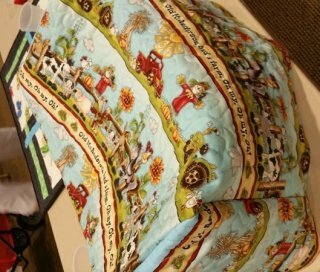 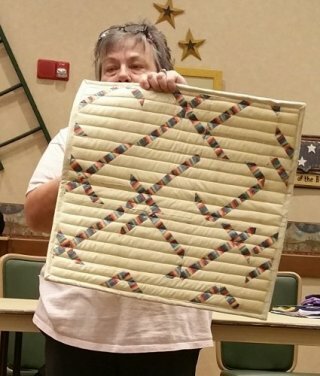 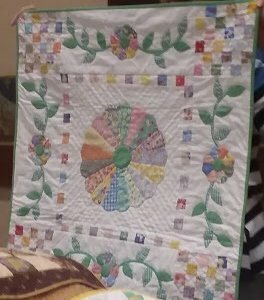 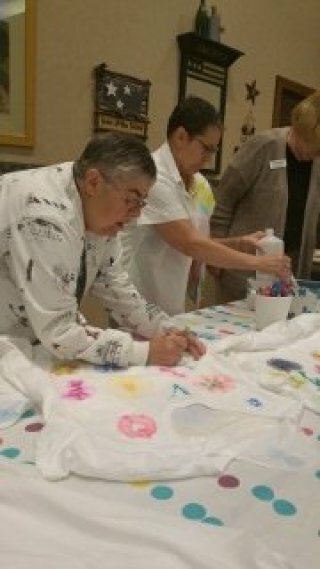 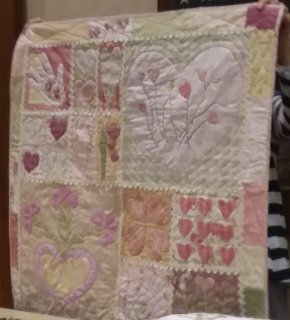 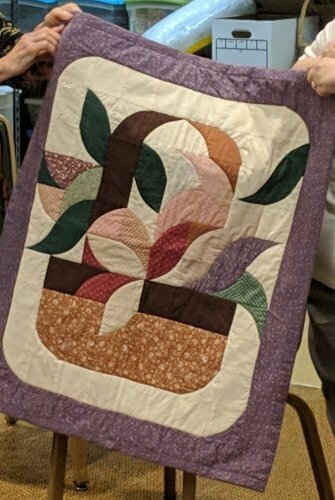 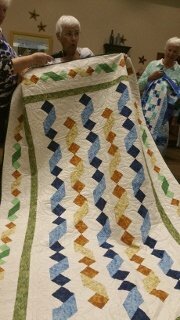 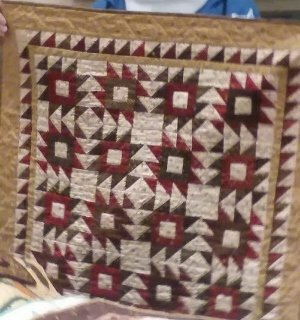 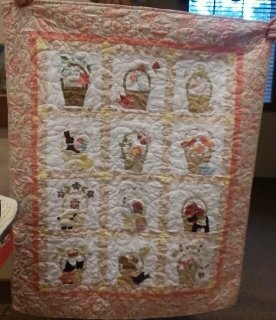 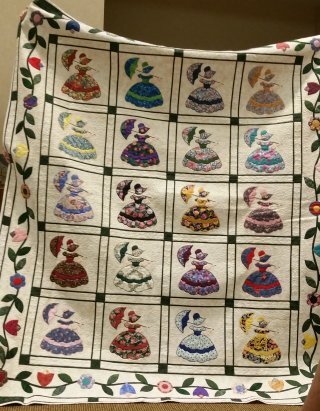 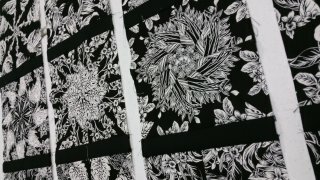 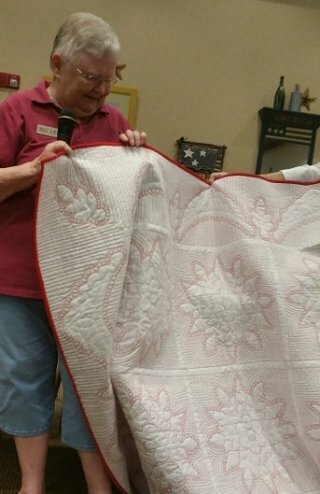 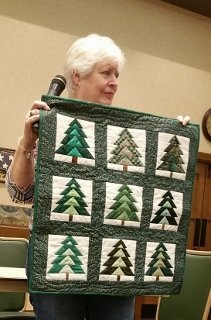 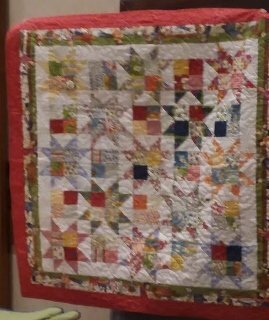 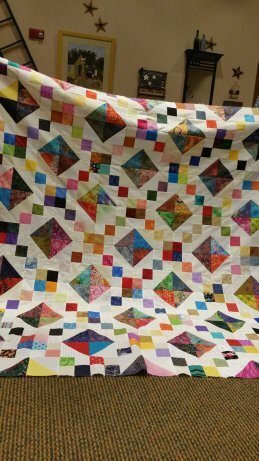 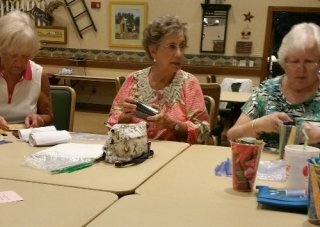 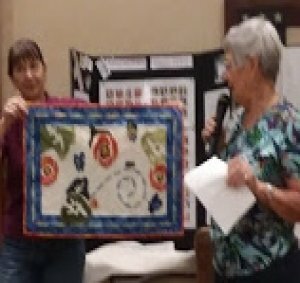 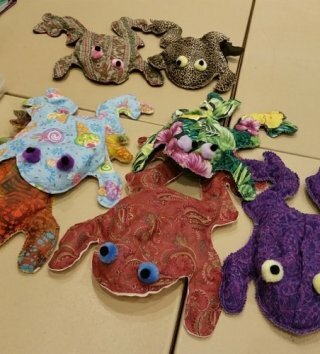 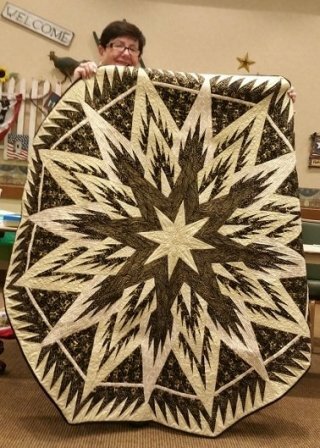 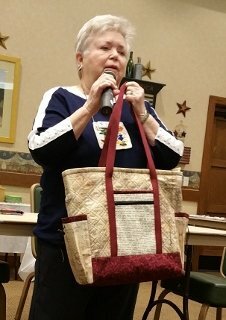 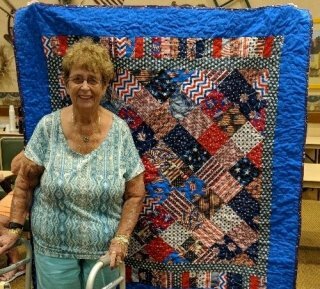 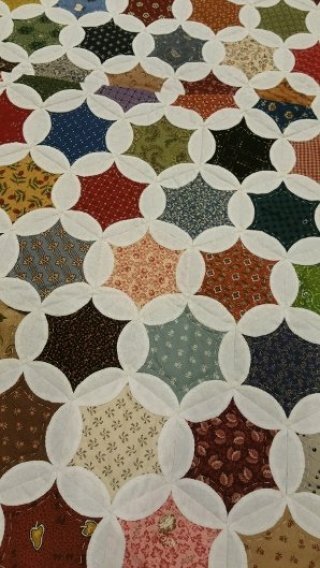 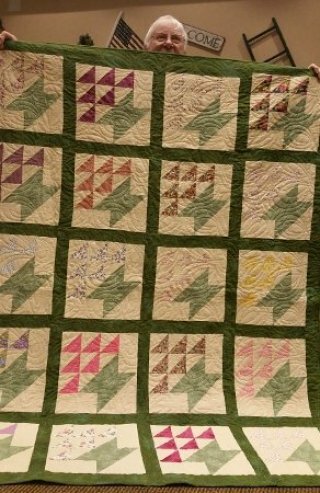 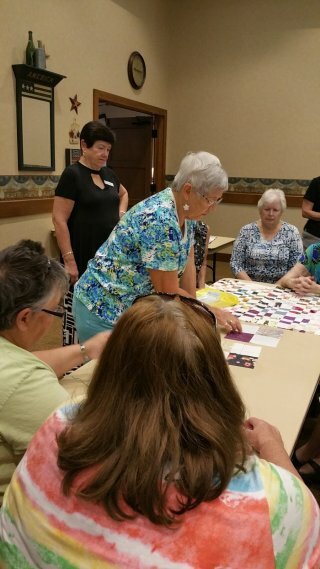 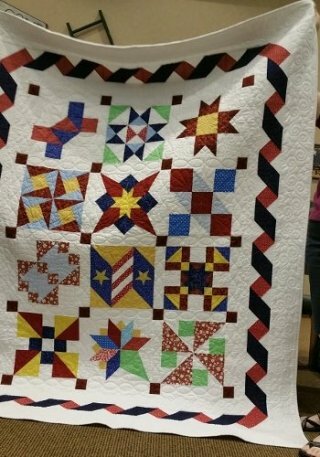 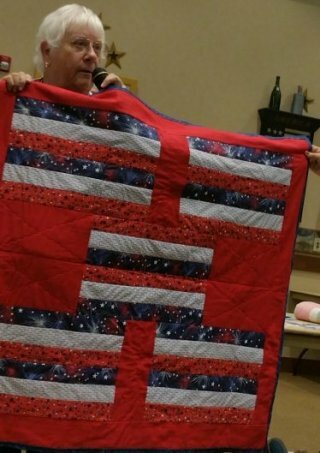 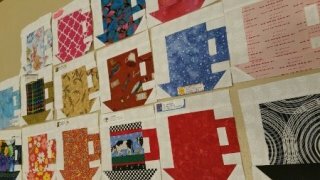 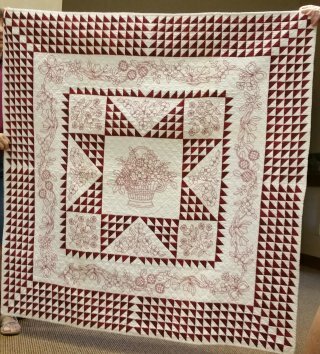 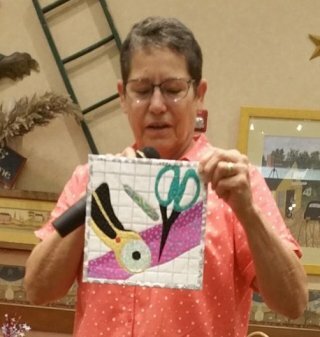 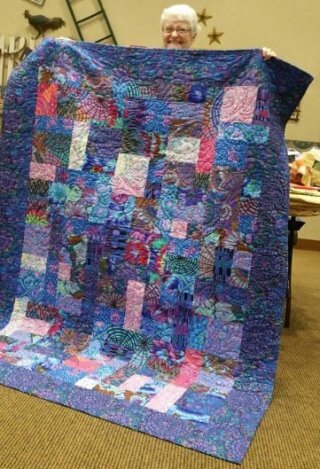 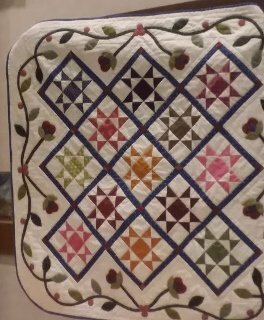 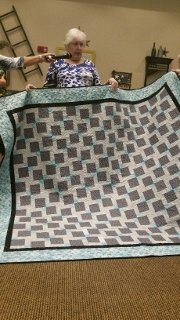 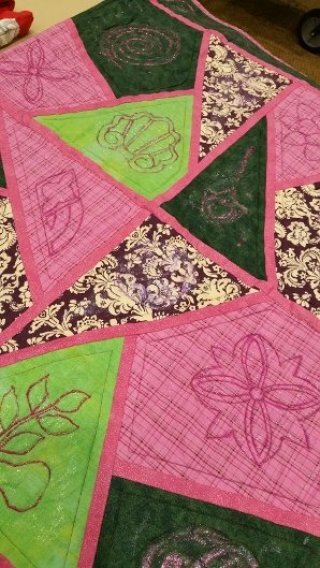 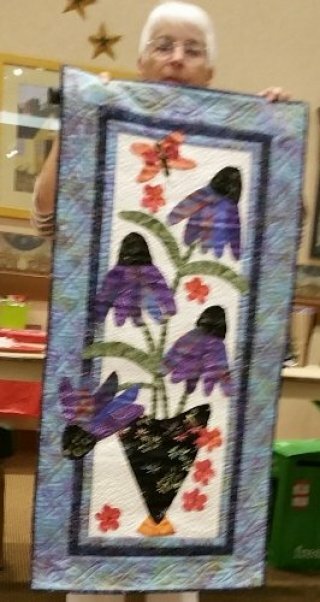 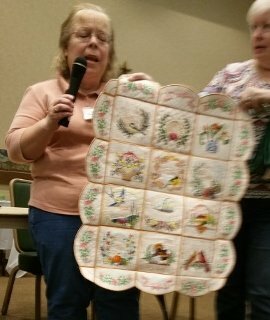 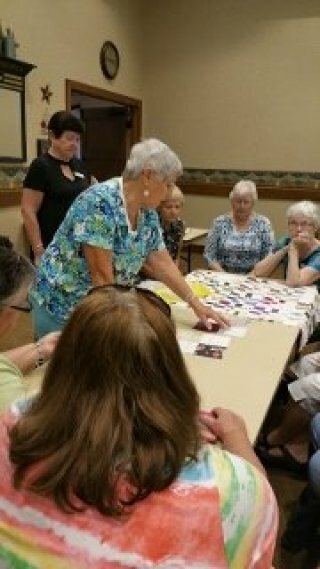 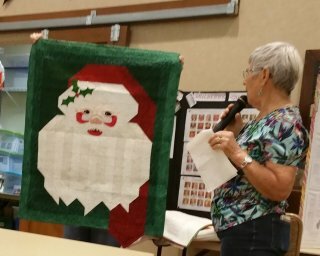 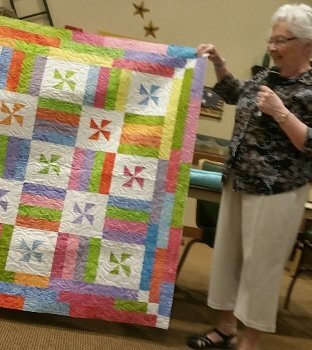 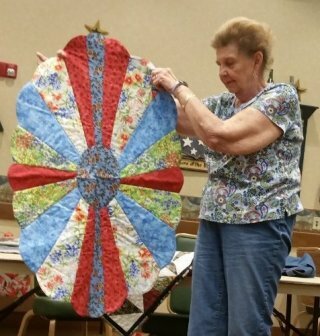 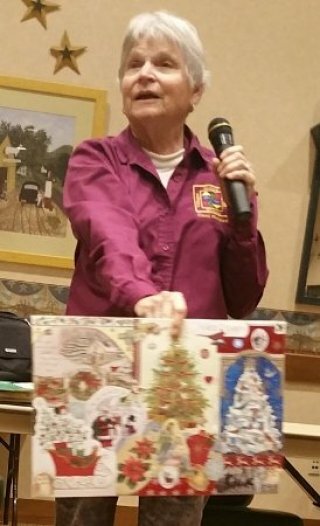 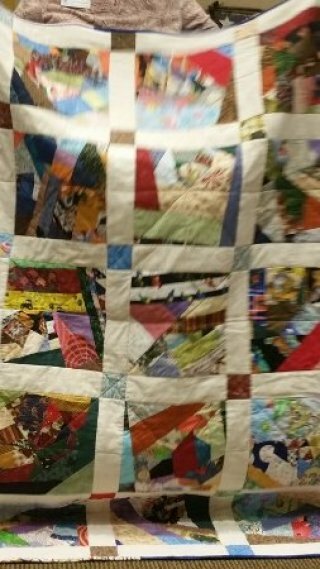 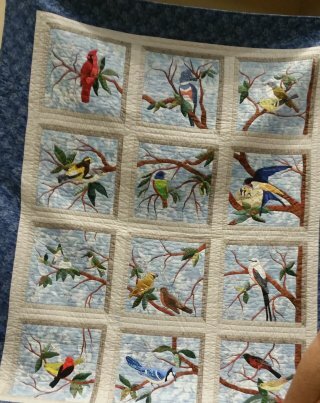 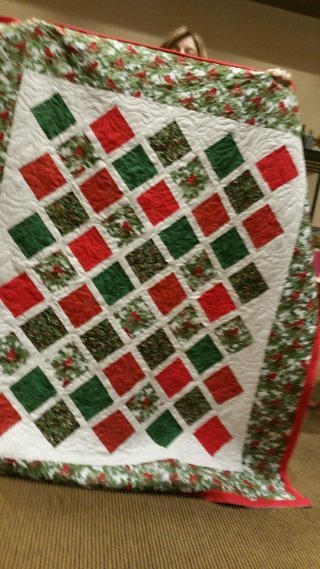 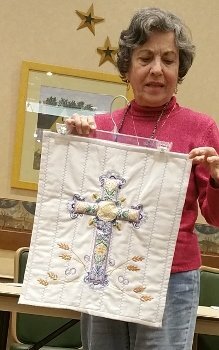 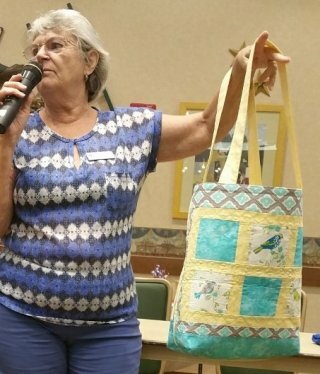 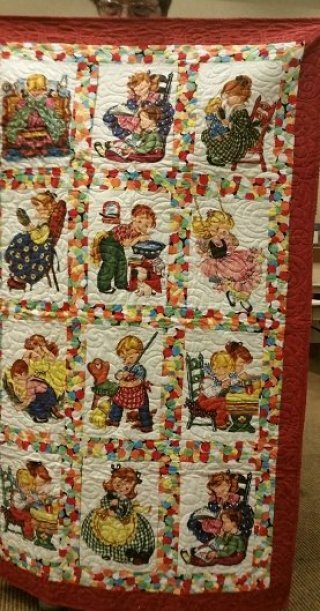 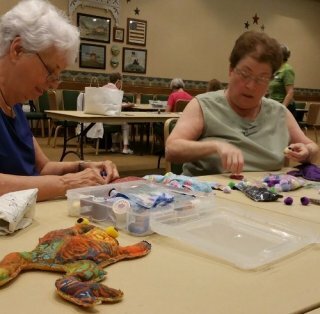 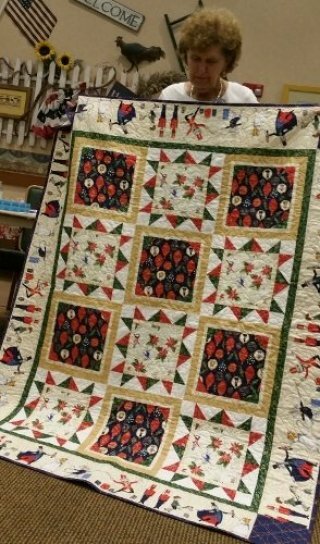 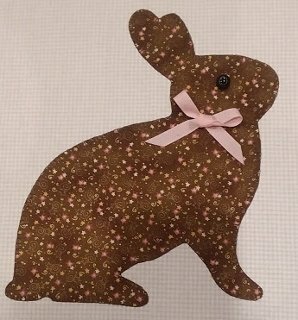 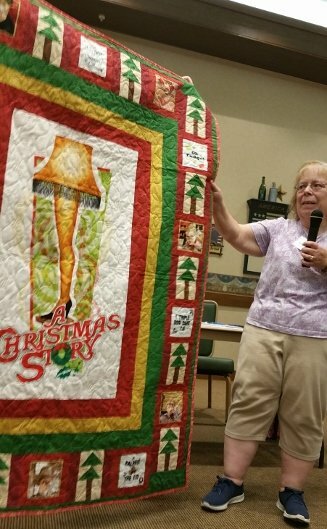 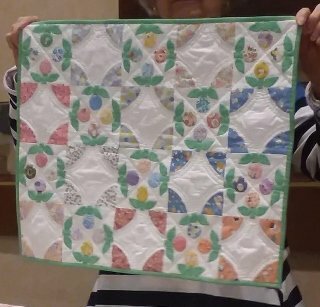 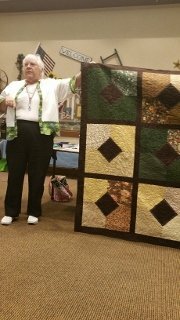 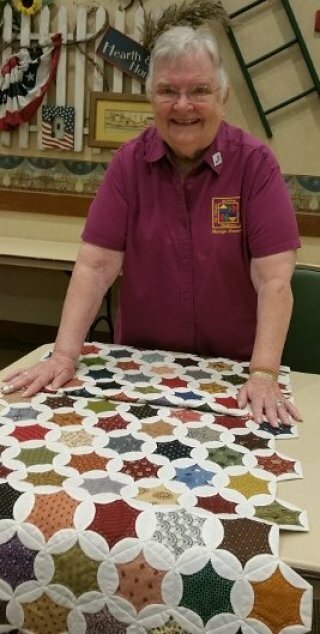 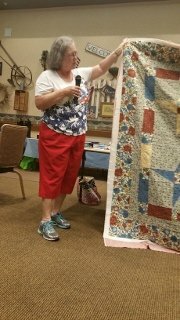 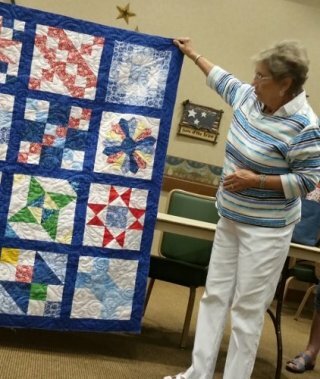 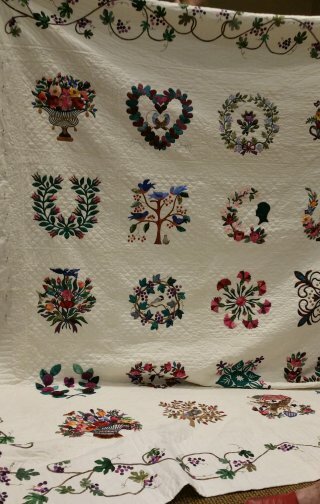 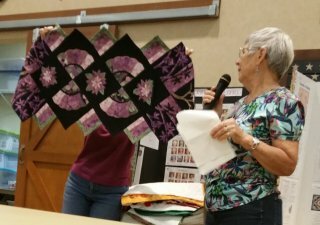 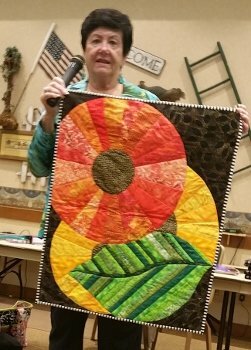 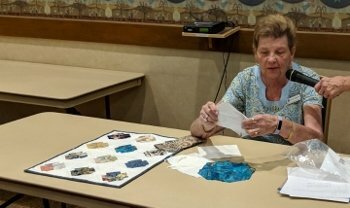 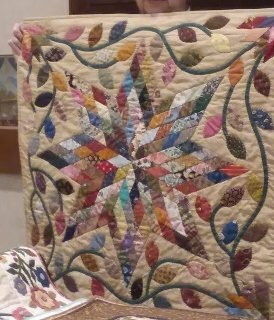 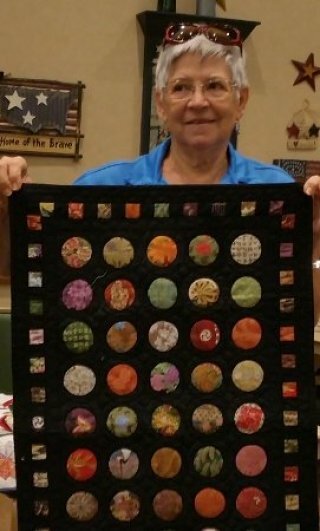 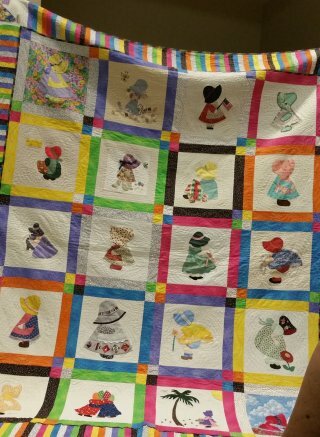 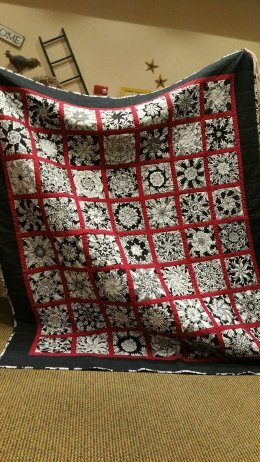 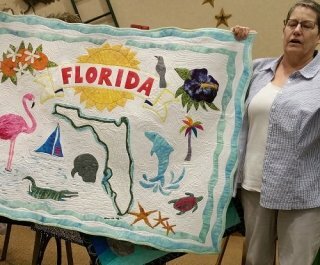 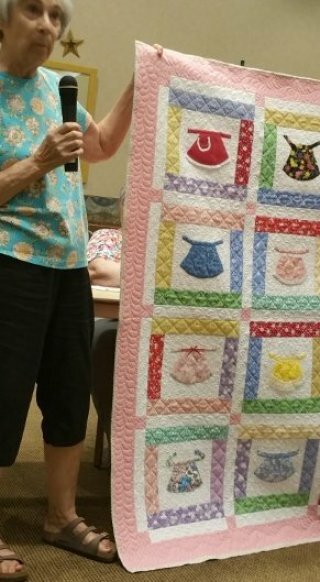 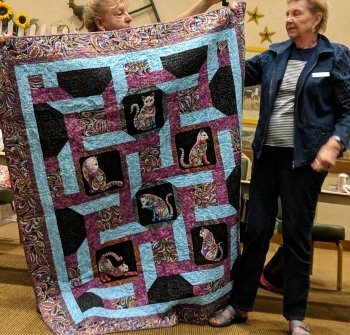 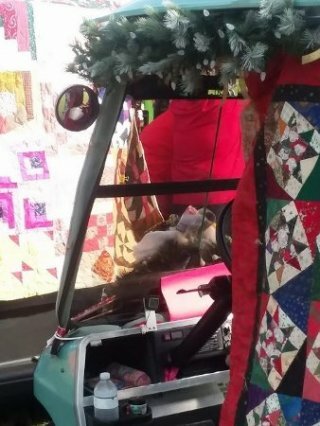 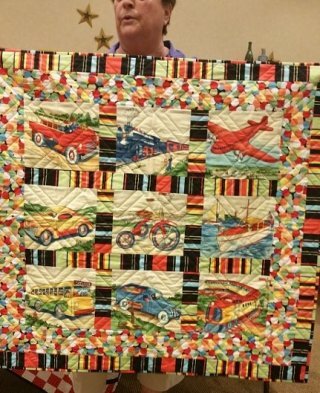 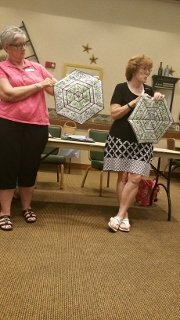 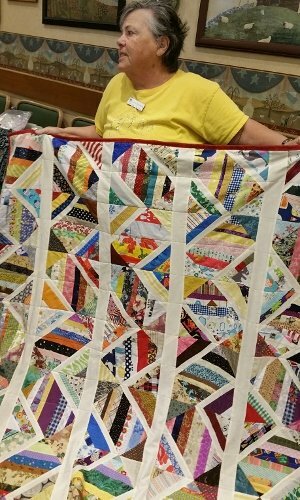 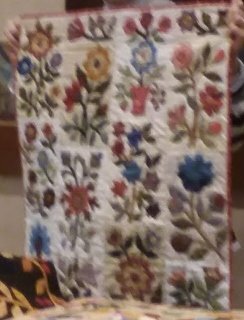 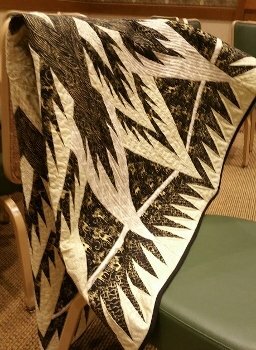 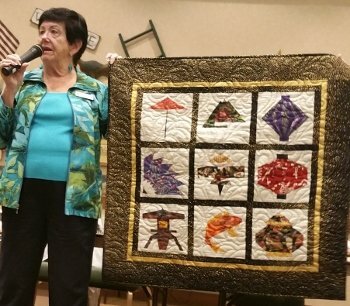 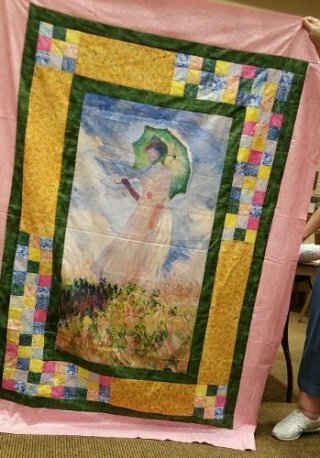 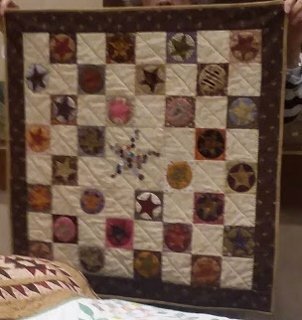 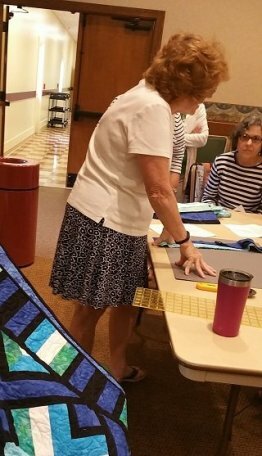 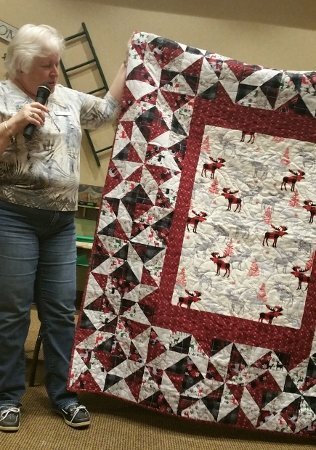 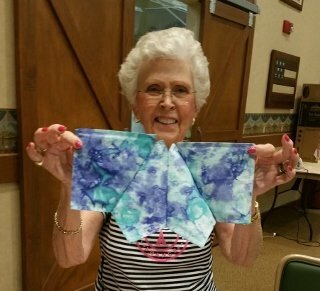 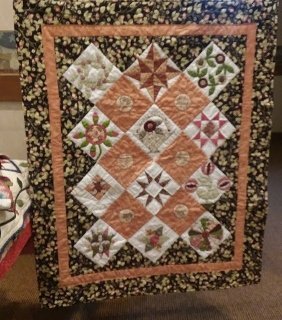 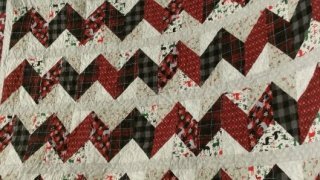 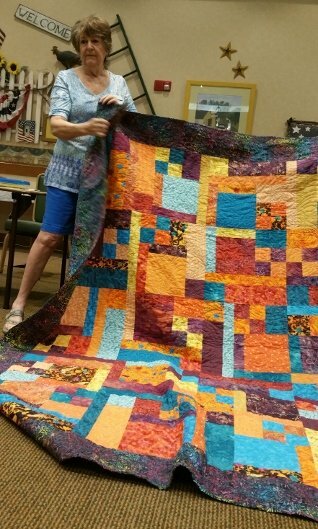 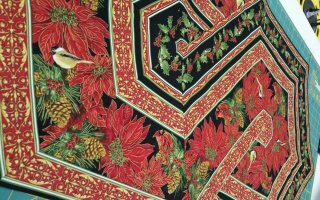 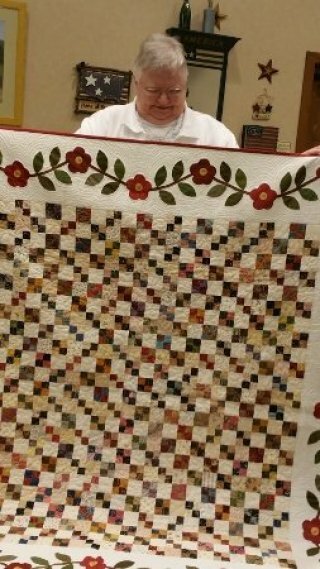 Members of the Mulberry Chapter are diverse and represent all styles of quilting from traditional to modern and everything in between. 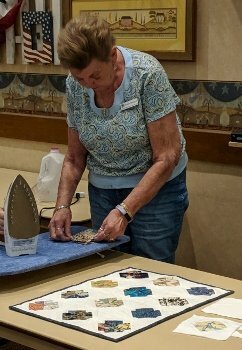 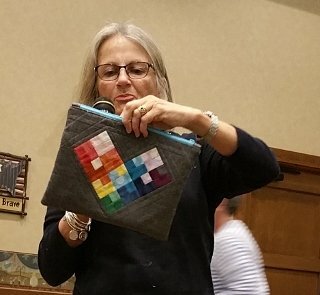 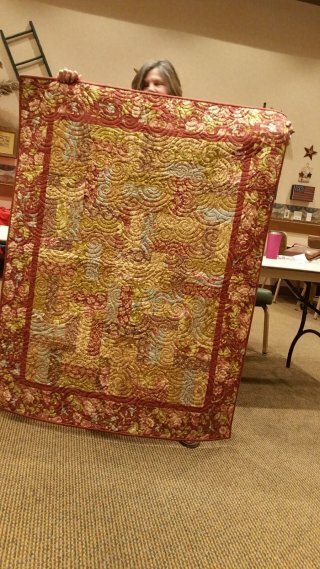 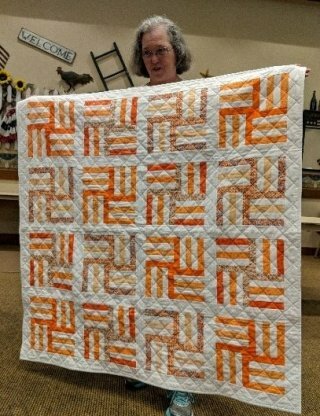 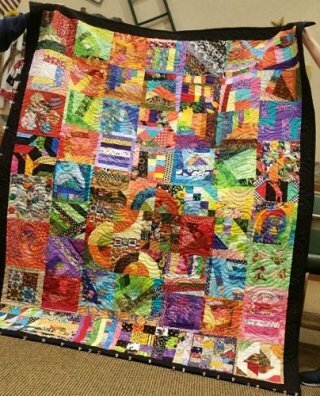 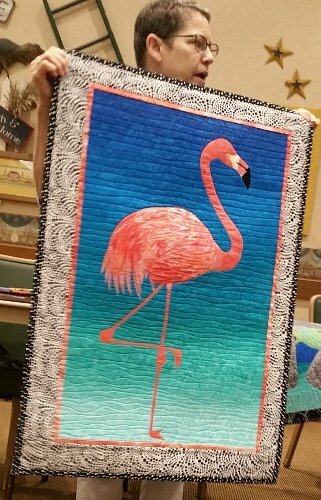 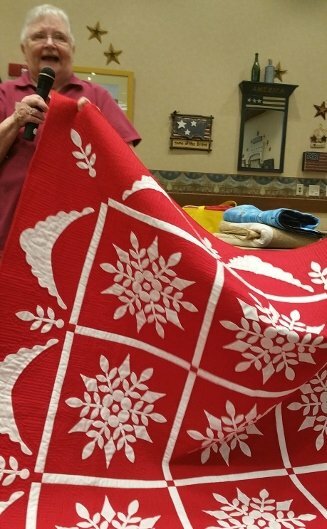 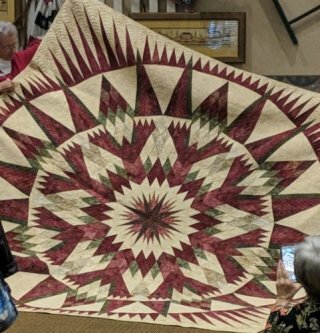 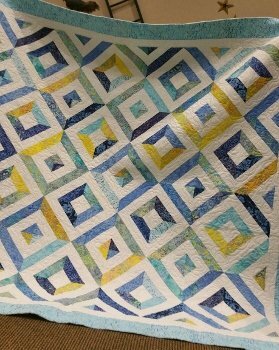 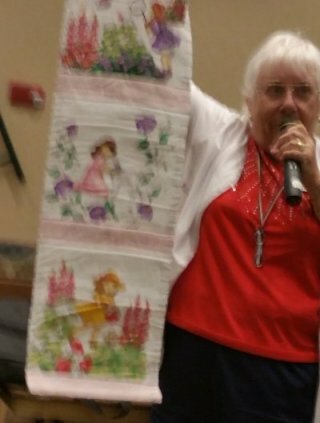 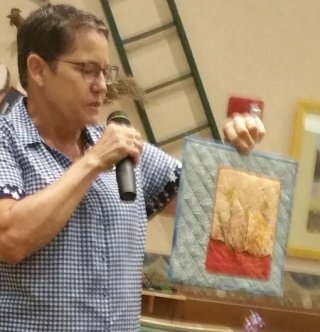 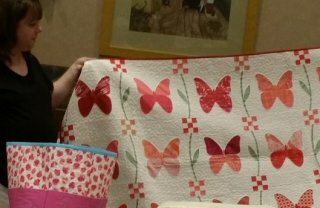 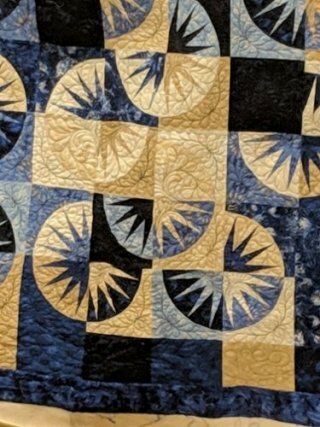 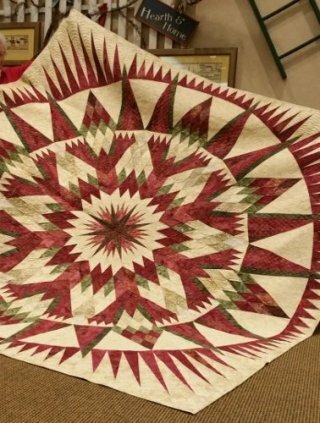 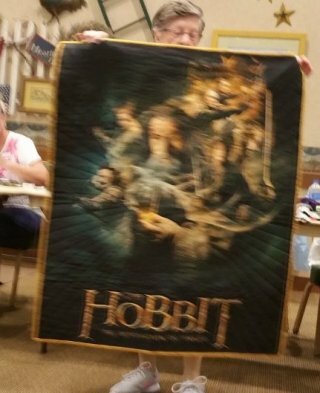 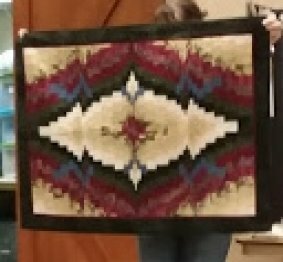 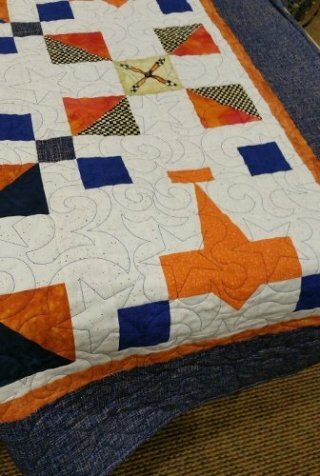 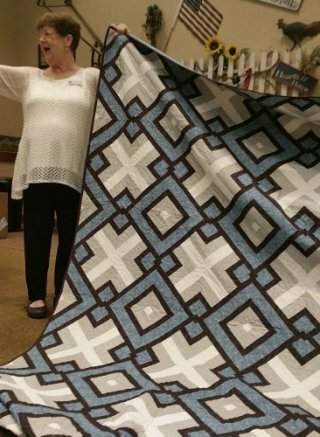 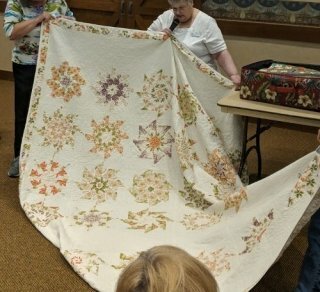 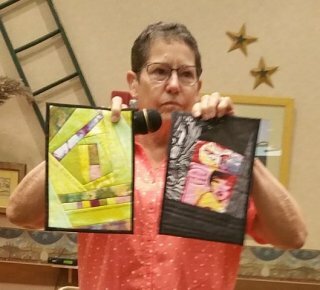 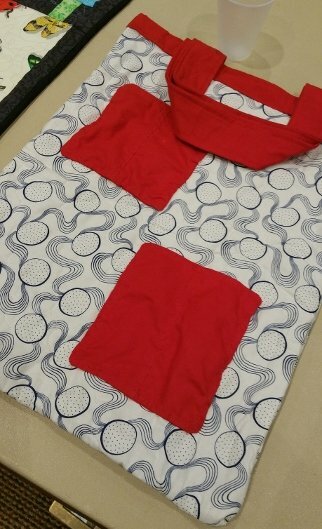 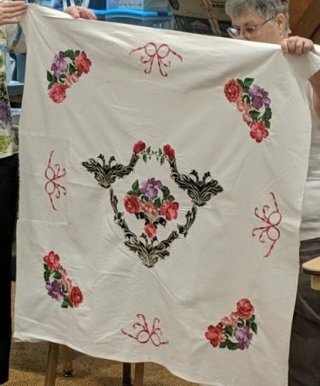 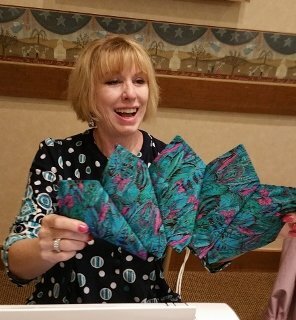 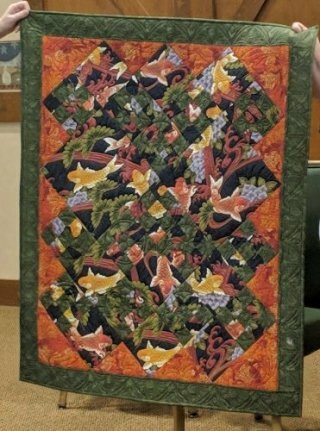 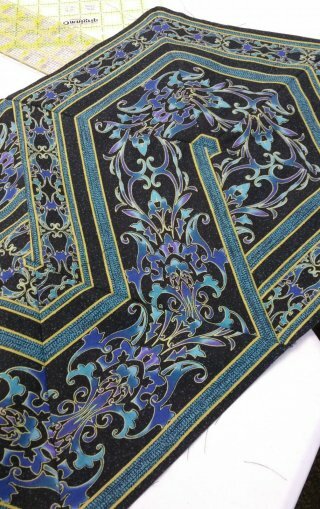 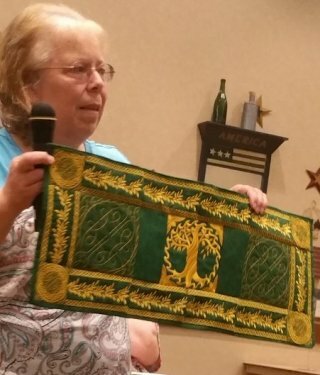 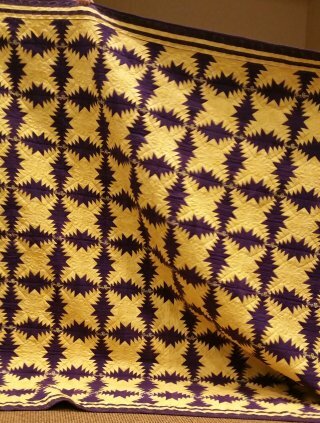 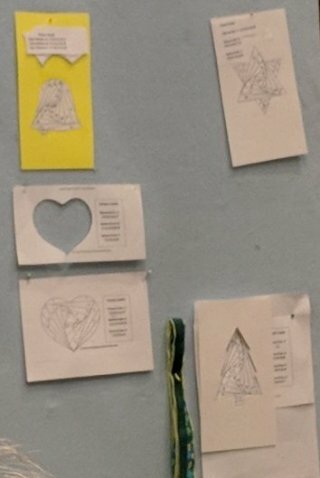 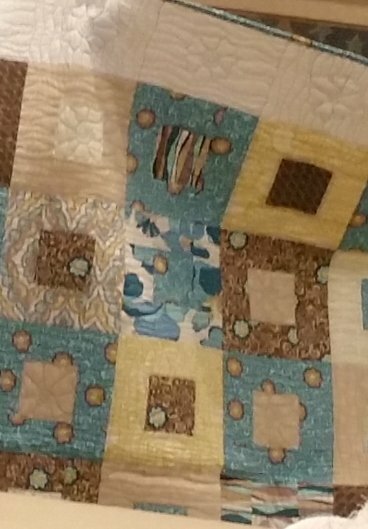 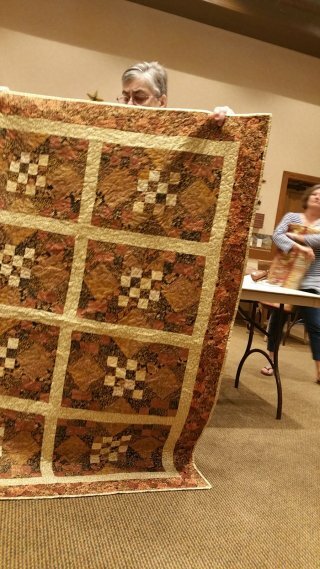 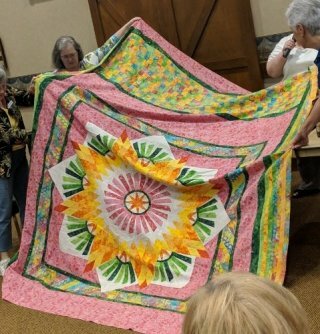 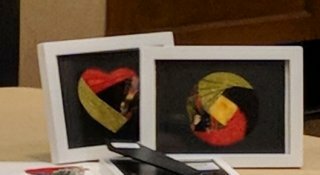 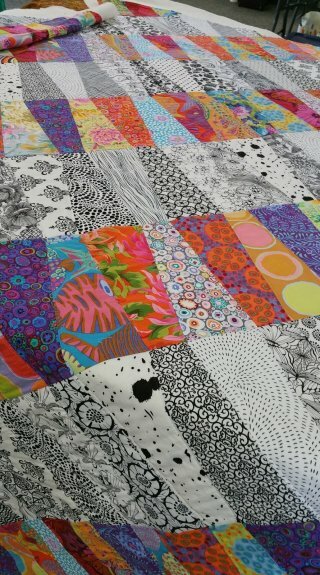 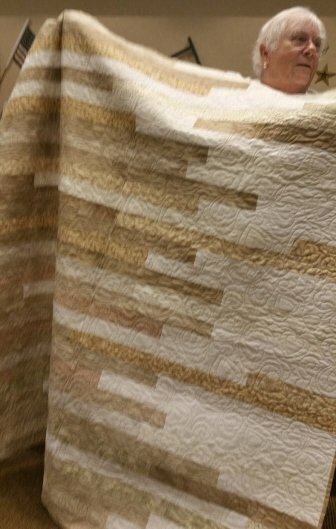 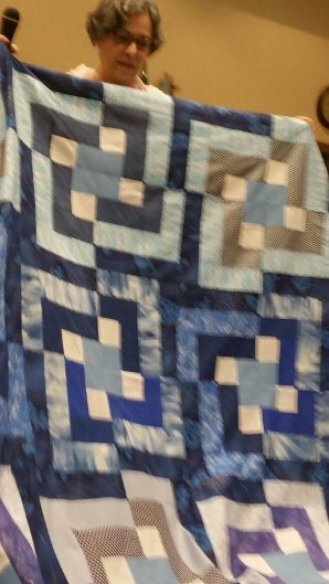 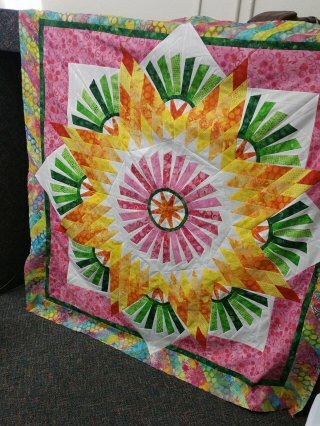 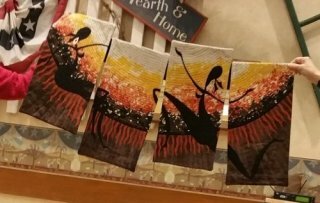 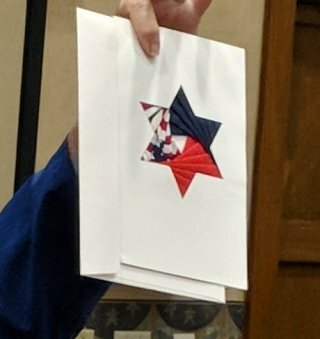 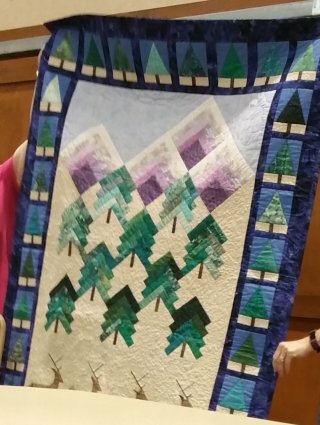 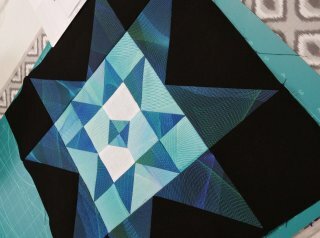 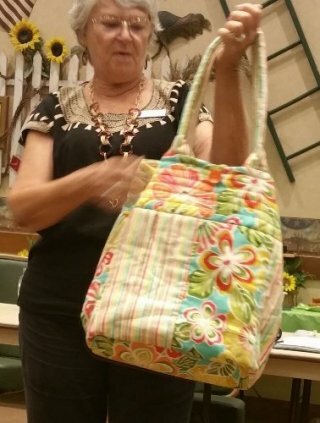 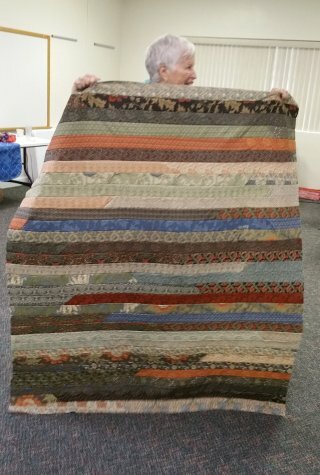 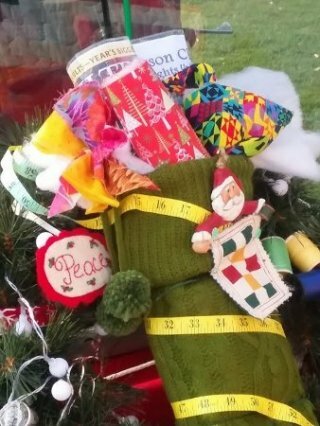 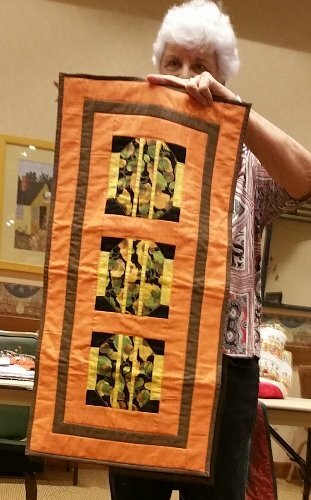 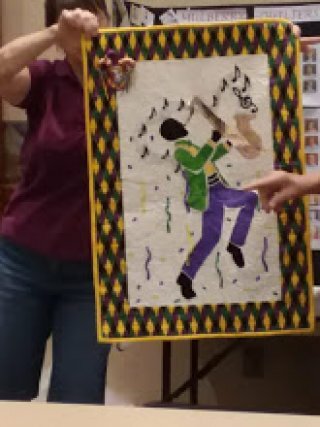 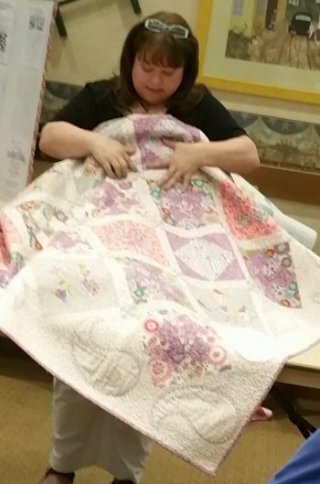 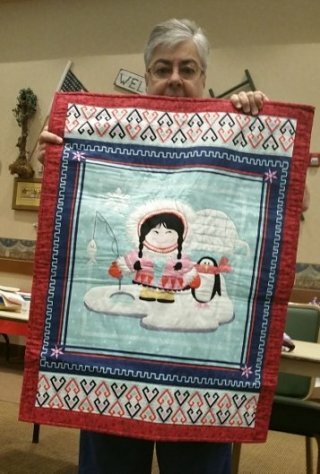 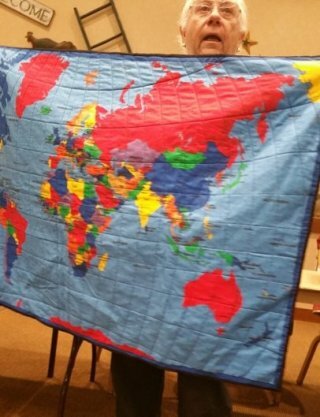 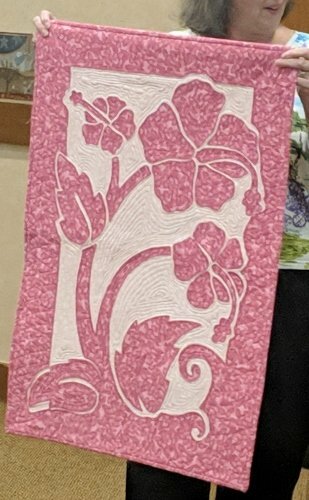 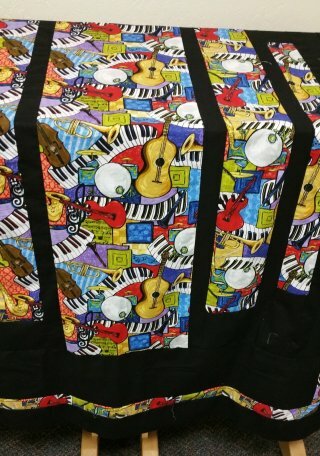 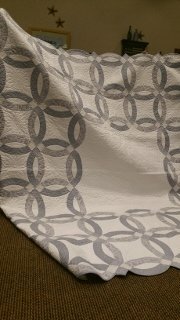 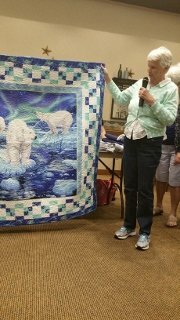 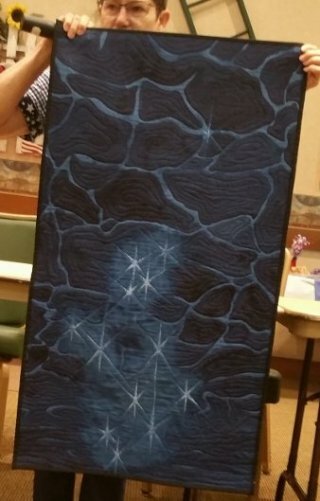 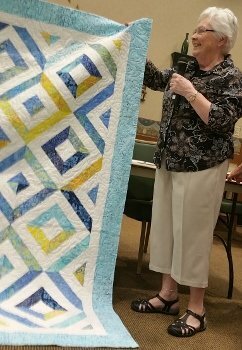 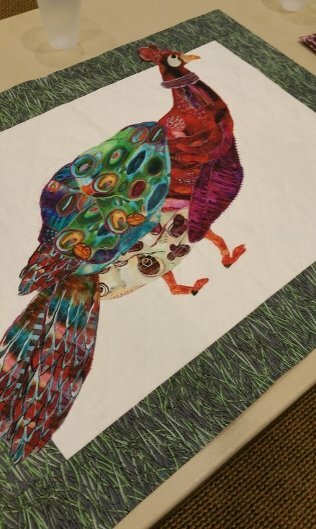 Seeing the beautiful quilts at our "show and tell" inspires us to work with color schemes that are out of the box, try a new technique, and also challenge our creativity. 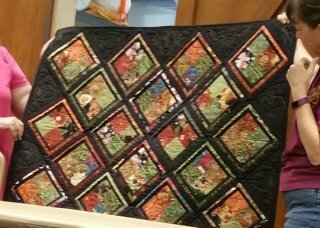 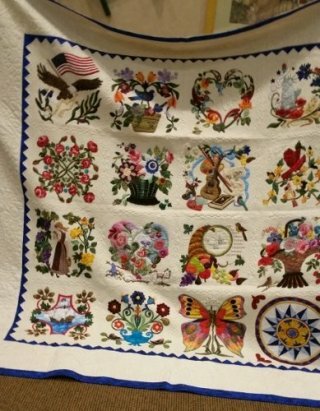 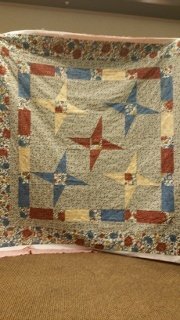 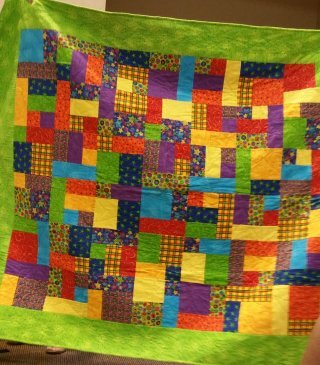 We also maintain a chapter library of quilting books - yet another source of inspiration. 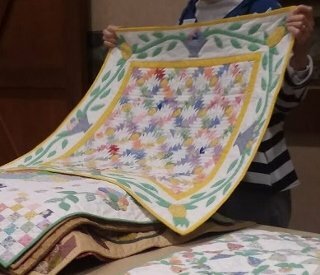 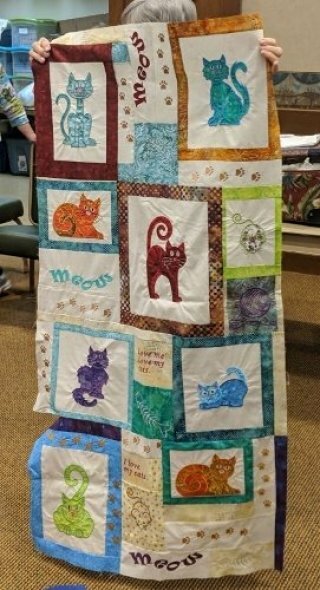 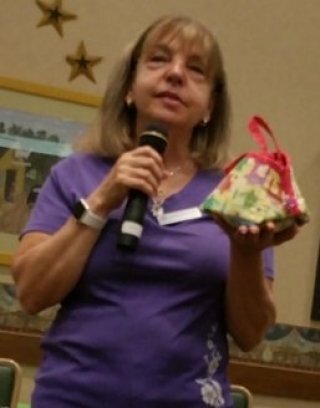 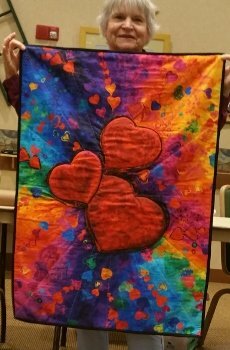 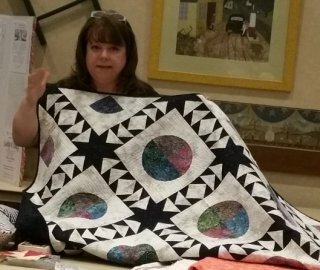 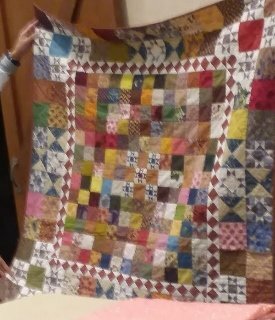 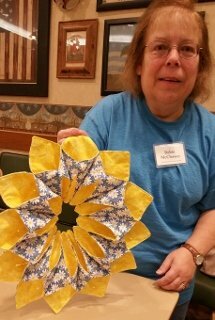 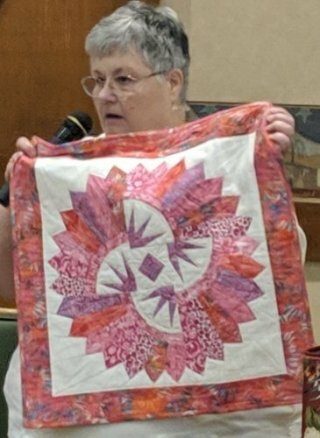 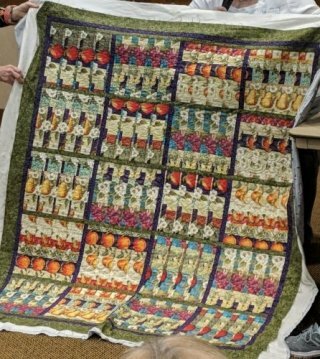 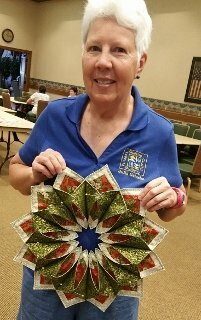 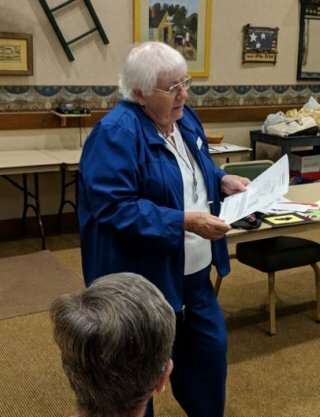 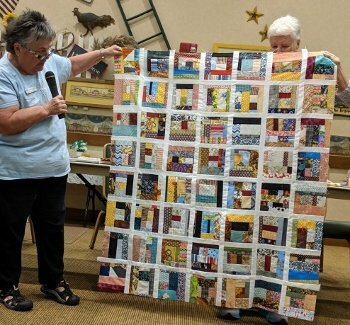 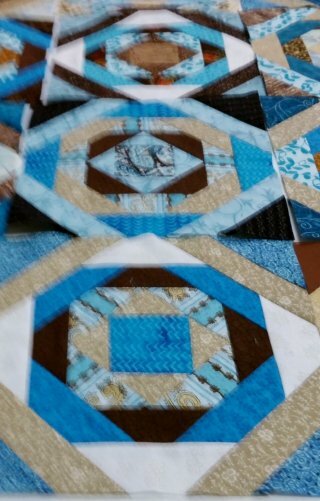 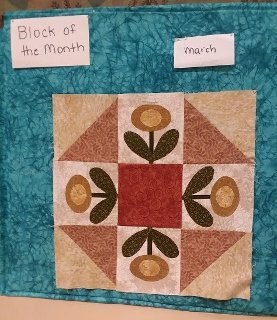 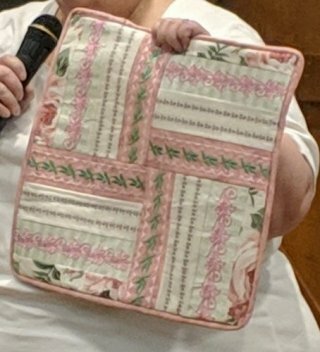 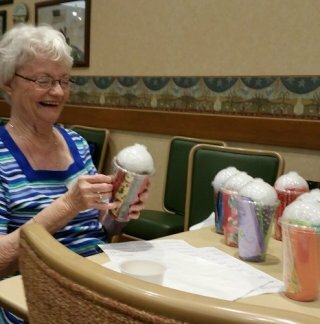 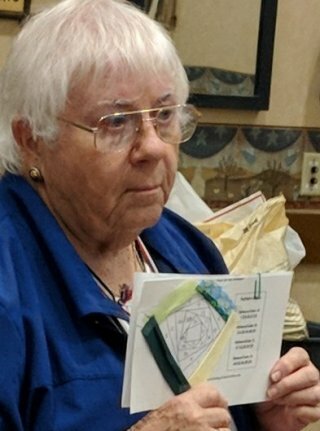 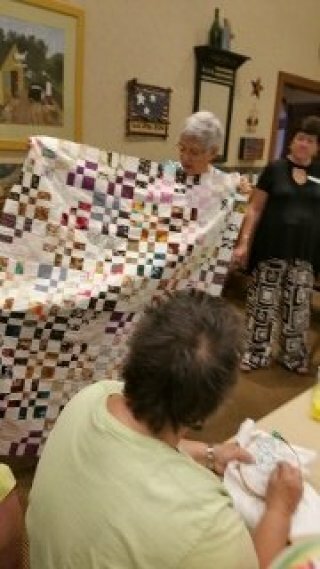 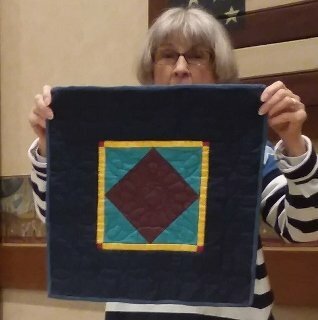 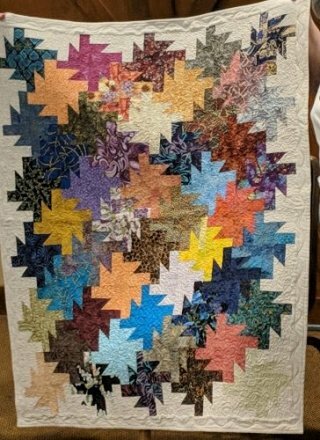 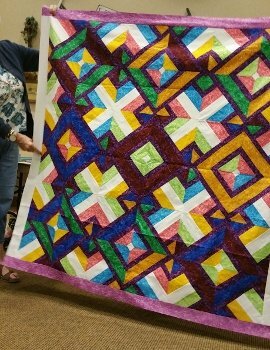 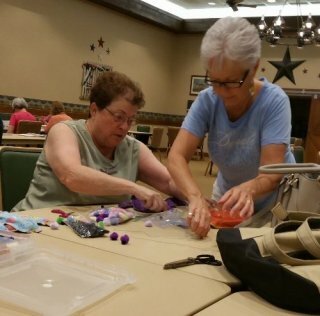 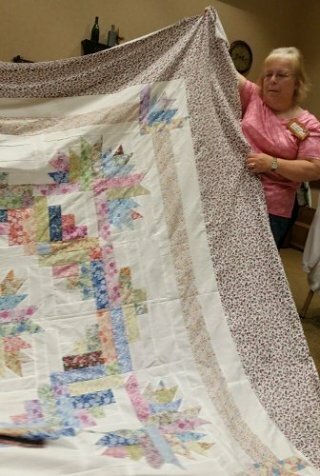 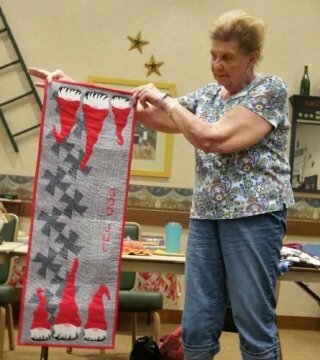 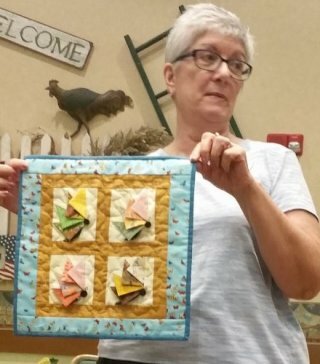 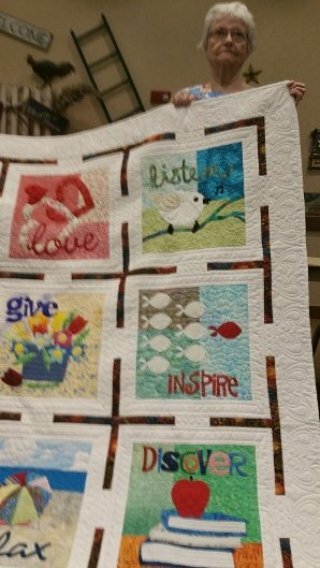 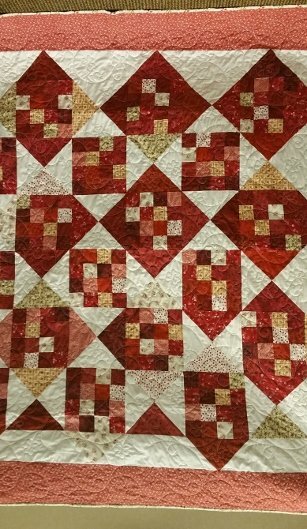 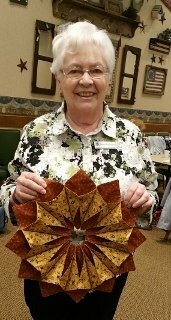 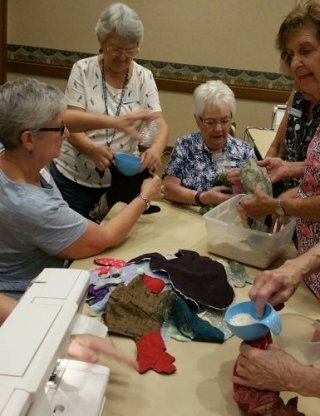 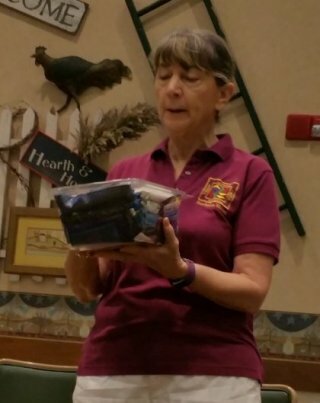 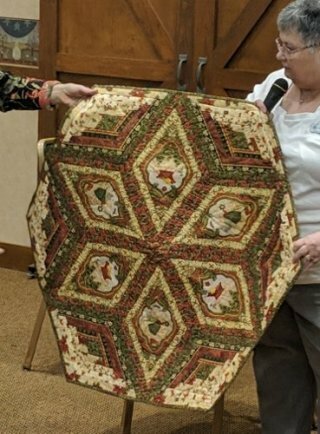 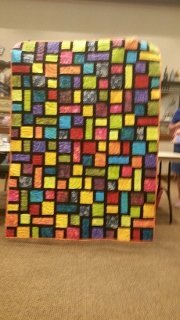 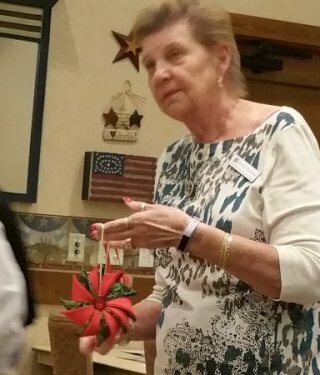 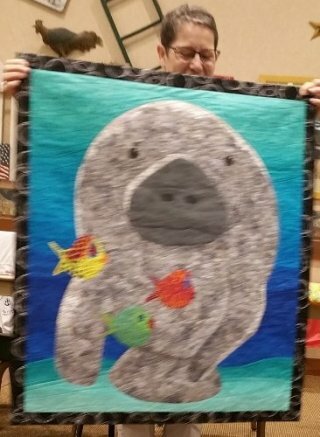 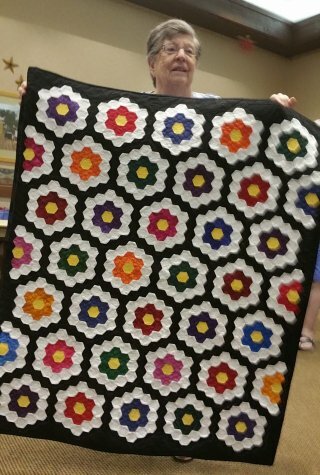 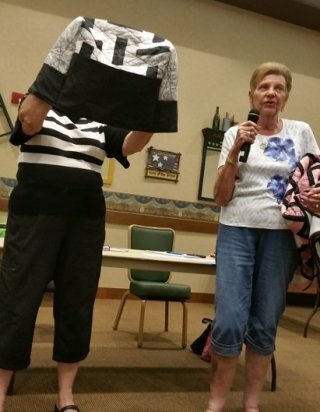 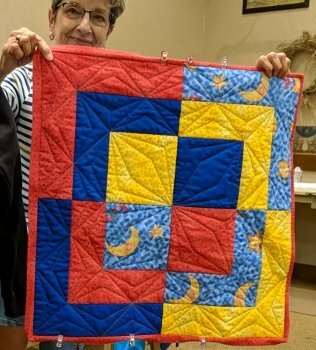 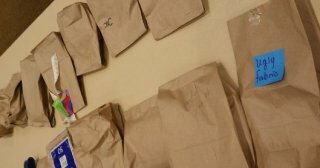 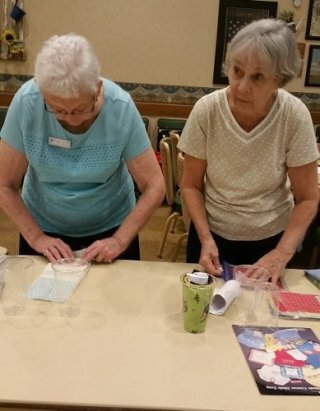 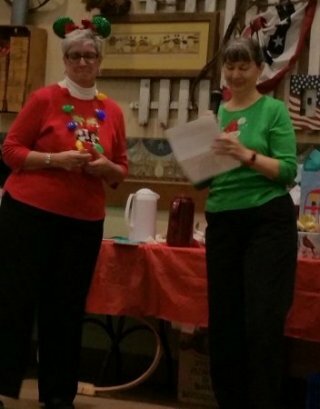 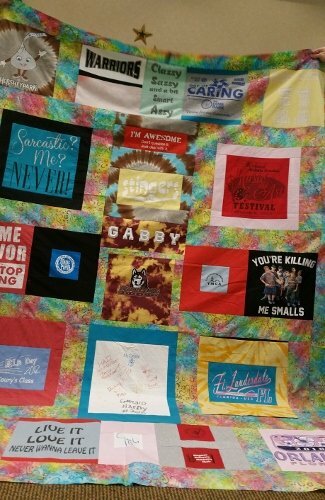 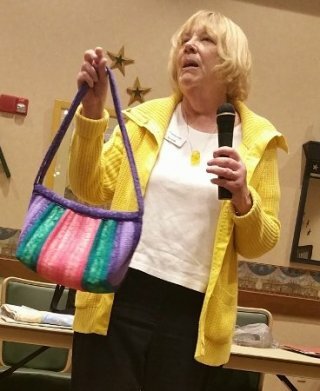 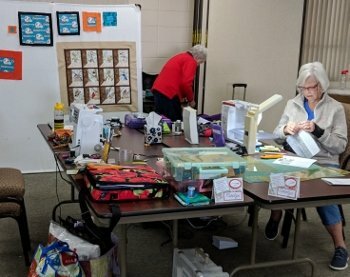 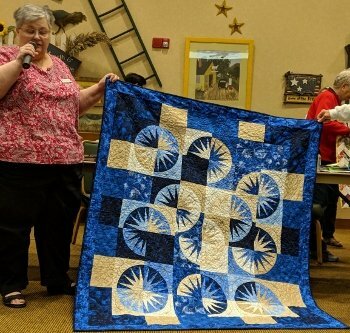 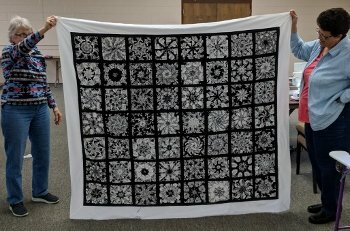 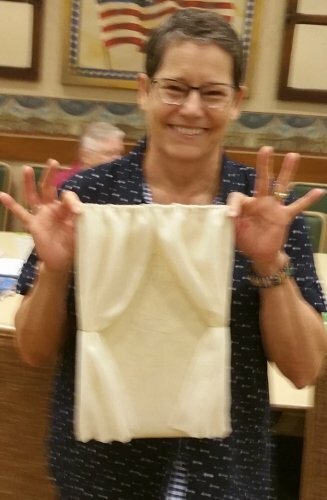 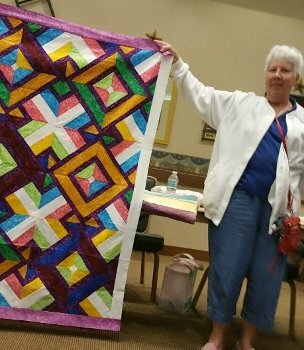 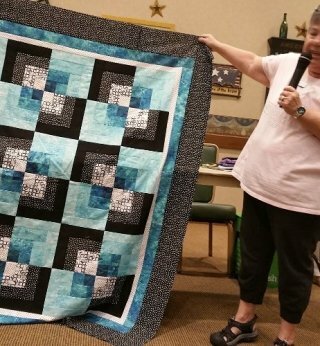 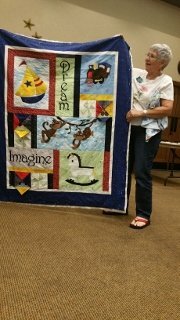 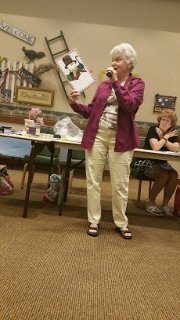 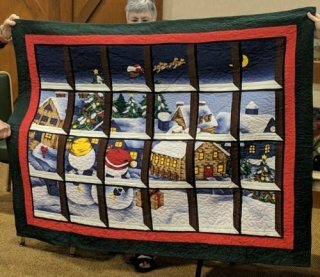 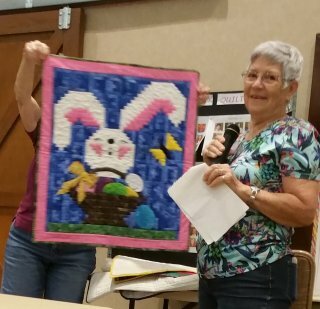 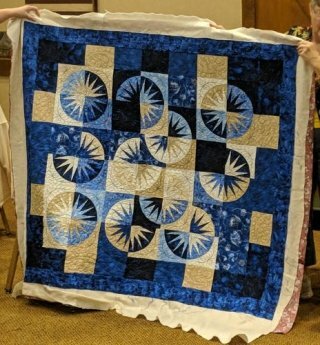 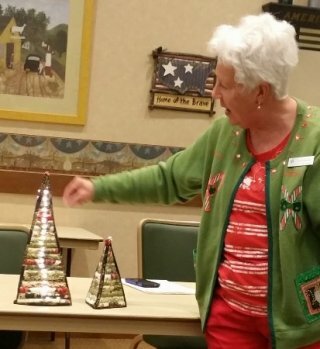 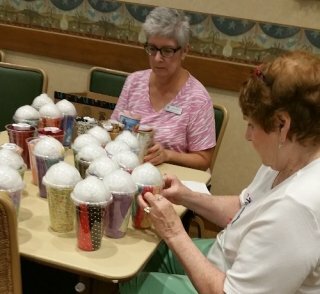 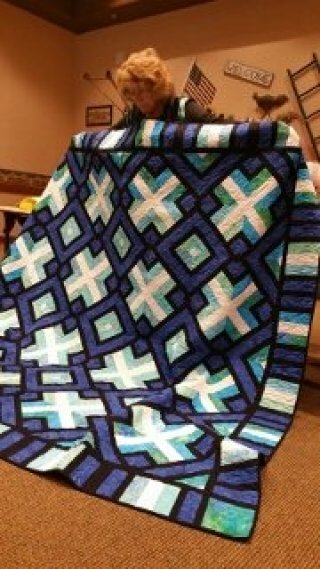 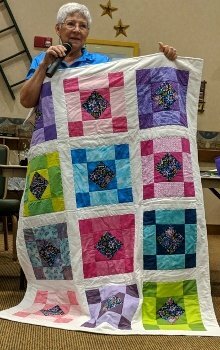 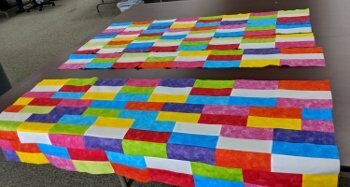 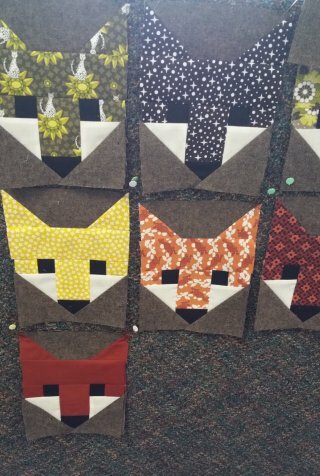 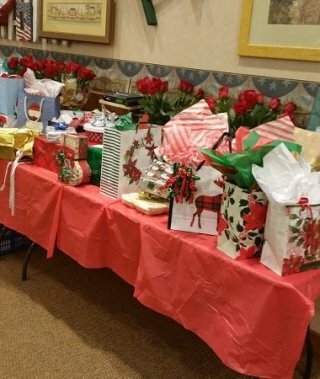 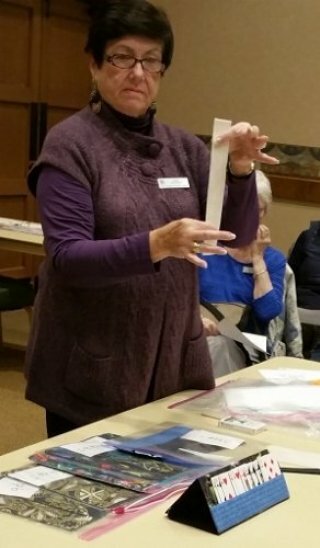 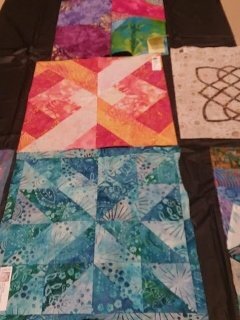 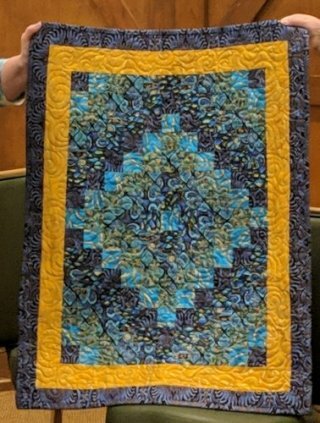 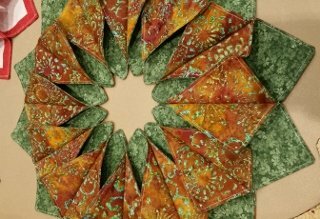 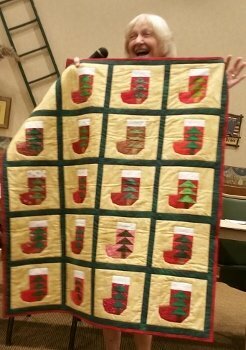 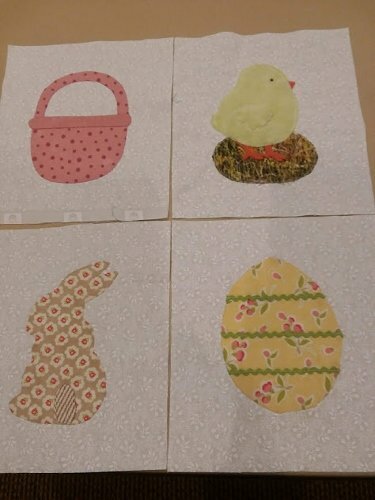 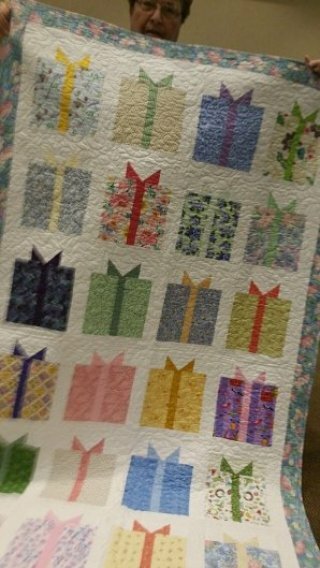 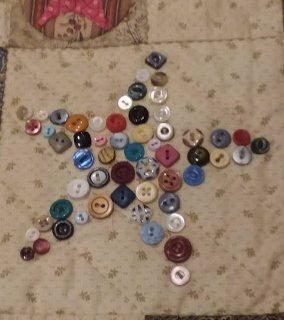 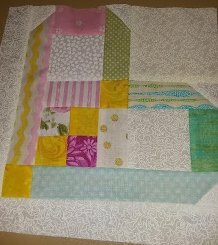 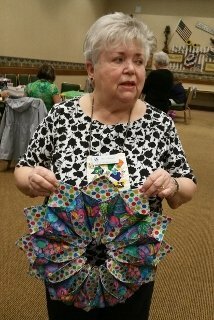 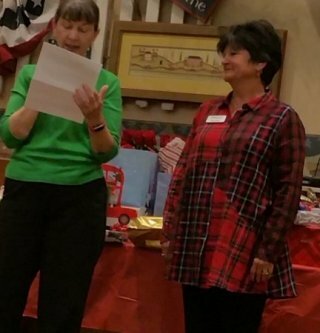 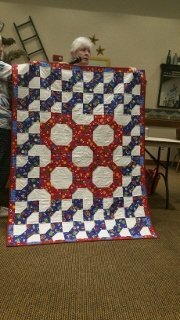 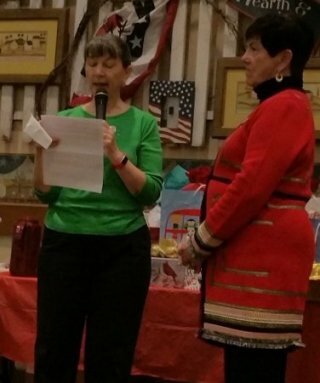 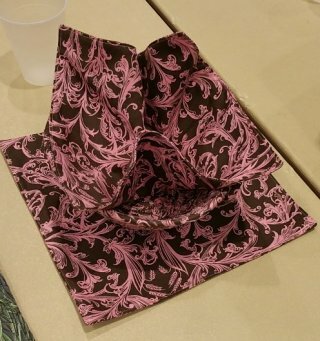 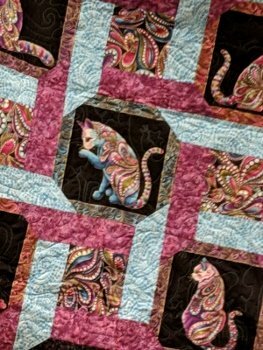 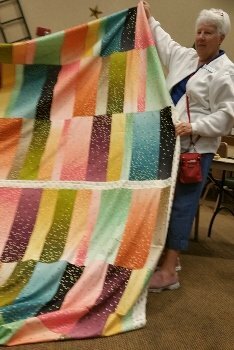 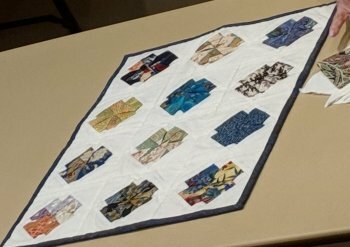 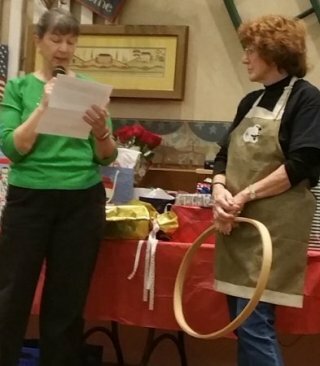 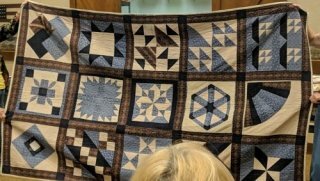 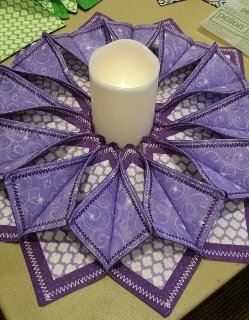 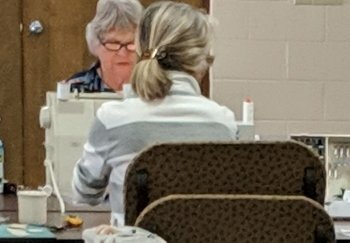 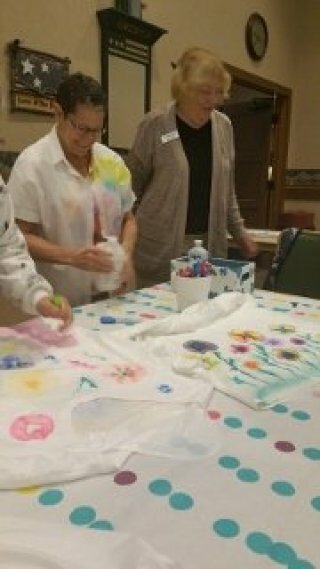 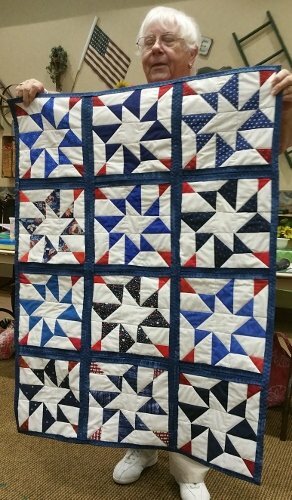 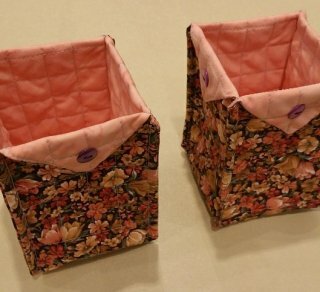 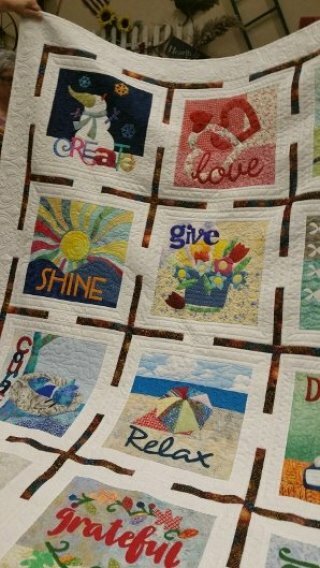 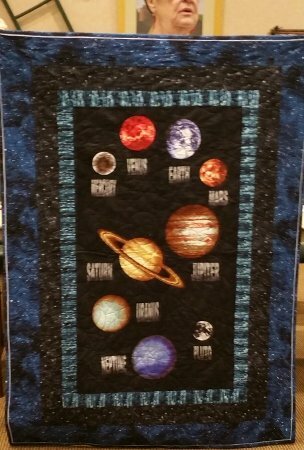 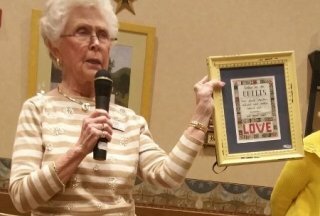 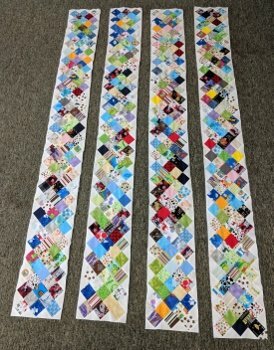 The chapter hosts an annual retreat in the Spring, promotes the Guild programs and classes, makes quilts for local charitable organizations, and we challenge ourselves with monthly blotto blocks. 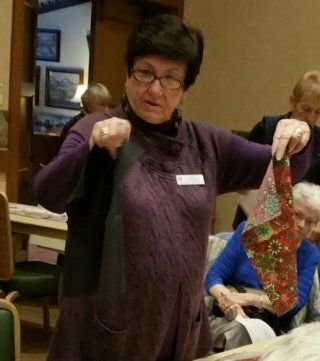 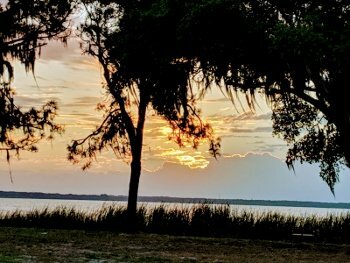 Marge's Demo of "Garden Path"